A great day filled with smiles, sweat and satisfaction. 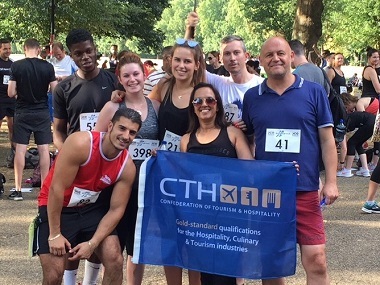 Read about the 'CTH Superheroes' 5 km run for charity in Hyde Park, London. It was a lot tougher in this heat, but we all finished; it looks like the practice sessions made the difference. Plus, it was for a great cause, so I guess all this sweat is worth it. 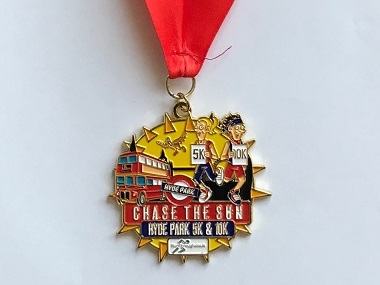 In all seriousness, it was a brilliant effort from the team, who ran the RunThrough, 5 km Chase the Sun event to provide money for the housing and homelessness youth charity, Centrepoint. Centrepoint provides an opportunity for the thousands of young people who struggle to find a place that they can call home and have to make due with whatever they can find. They do this by provided support for disadvantaged youths and teaching them life skills that will allow them to work and live independently. CTH operates in the education industry and so a lot of our learners are in fact youth, therefore, Centrepoint's mission is one that we emphasise with. Our superheroes were not only able to complete the course but were also able to raise over £800 in donations. Hopefully, this can go a long way in helping disadvantaged youth find a home. 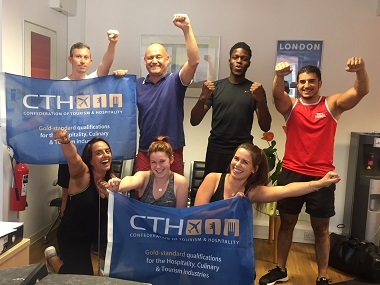 So, congratulations to our CTH Superhereos; Steve, Stefano, Tomi, Becky, Arkin, Chloe and Ulpa. We'd also like to give a special thanks to the everyone who donated.